Your time is ticking – Let us save it! Time spent with an Accountant is an investment. All explained in easy steps to follow with An Account manager to guide you at every step. Before joining up an umbrella company, please read the guide as it will explain what it entails and how it will benefit you. Asmat & Co (Accountants in Slough) are different as we cater for each individual client exclusively with a tailor-made package as per their requirements. Our uniqueness in the industry is due to being adaptive and responsive towards our client’s needs. We do everything on your behalf so you can concentrate in growing your business. Asmat & Co will ensure all your financial affairs are taken care of with an All- Inclusive package agreed upon engagement with NO extra hidden charges for any of our core services. Asmat & Co (Accountants in Slough) will not only assess and advise with all the different options for tax efficiency, in respect of the industry you belong to, it will also guide company Group structures to be incorporated in line with your business model. Our systems are designed for all types of businesses which assist in producing reports and financial figures with the click of a button. Asmat & Co are more than just accountants who like to understand your business and provide a personalised service – catering a variety of industries gives us a better business acumen to digest and accommodate a range of clientele. Are you a contractor/freelance or the owner of a business looking to have their finances managed stress free? We often hear from business owners that their Accountants are Not understanding their Business Model! With the majority of industry sectors we currently cover, it gives us an edge to make a difference. This guide is ideal for anyone who is looking to understand what is involved in forming and running your own Limited Company. Asmat Accountants will assist you with setting up your new Limited Company. 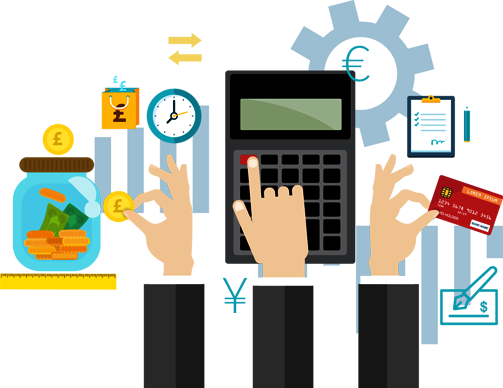 Asmat Accountants work with leading UK banks to set-up your business bank account quickly and with ease. 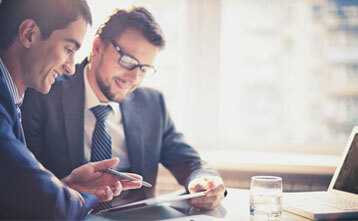 Expense processing on the go with Asmat Accountant’s Connect portal. Dedicated portfolio manager to give you proactive tax planning advice. Asmat Accountants in slough have a team of in-house Employment Law specialists to keep you safe. Asmat Accountants provide an Umbrella PAYE Solution for those wanting to work this way. Access to specialist insurance brokers to legally cover and support your business requirements. Asmat Accountants in slough work with a Team of Legal Experts for advice and also introduce their services to clients who are looking for any legal corporate assistance. Asmat & Co (Accountants in Slough) is always evolving to adapt to the different changes and requirements. Staying on top of technology and the global market is key to keeping our customer’s businesses informed. We feel the responsibility towards our customers and to keep our firm challenged at all TIMES. Knowledge and delivery of service is always core to our business. 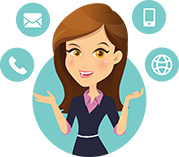 A firm customer service is only achieved with a prompt and accessible team. What better than an accountant who takes every customer to be important despite the size of its business. From the beginning Asmat & Co impressed with their efficient and professional manner, an approach that not only inspired confidence, but generated the results I was looking for. My experience with their friendly and knowledgeable team is priceless and thanks to them I have a real sense of security, knowing there’s always quality advice on hand as my business grows. Asmat team explain financial issues in “language” that I can understand! I highly recommend Asmat & Co to those who are seeking a health and accurate check on any Accounting matters. I am the Director at 247 Professional Health, and have worked with Asmat Accountants since the start of my business in 2012. They have provided me with excellent support in helping me grow my business from then to now. They have always been available to me whether in person, phone or email and have always responded quickly to my questions. As my business grows they have advised the best direction for me to take and supported me in the decisions I have made. I can recommend Asmat Accountants to both to start up and established business knowing they will help, advice and support them in building a successful business. I wanted to thank you for your professional accounting and financial services to my company and business interests over the past five years. You and your expert team of advisors have been a pleasure to work with. I am extremely grateful for your reliability, expertise and proficiency in supporting not only my businesses, but also personal finances. The relief in the knowledge that you and your team are supporting and advising us has made a great difference to our working and personal life. I feel secure in your professional hands; your advice has been invaluable to us. 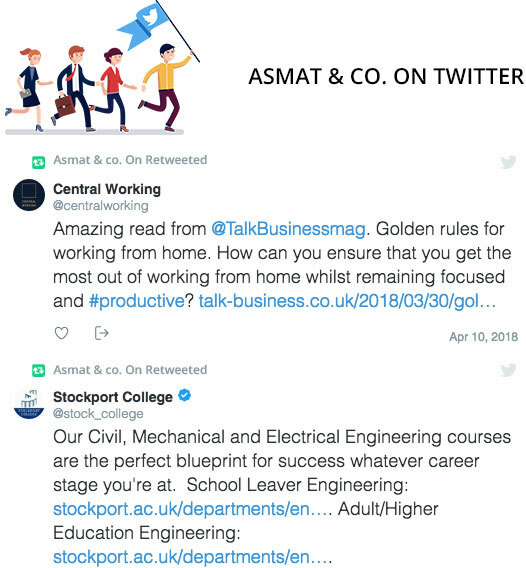 Thank you Asmat & Co.
As a busy Utility Consultancy, we find the service we receive from Asmat & Co invaluable in taking care of all our accounting needs, including corporation tax, self-assessment, VAT, N.I. and PAYE, as well as offering advice and support ongoing, and are always on the end of the phone for us when needed. Highly recommended! Asmat & Co (Accountants in Slough) provide tailored accounting and business services to start ups and small to medium enterprises both within Slough Berkshire and across the United Kingdom. Asmat & Co is a name as a premier accountant in Slough with a goodwill earned overtime, for its service backed by extensive knowledge and experience which our team possess. Asmat & Co are one of Berkshires’ leading independent firms of Accountants servicing a growing and satisfied clientele. 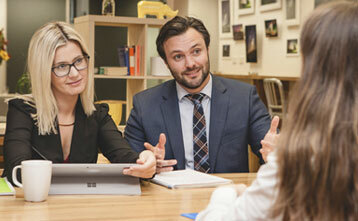 At Asmat & Co expert advice is available from senior qualified Chartered Management Accountants (ACMA) and Chartered Certified Accountants (ACCA), at very attractive packages tailored to suit varied individual and business requirements. The professional team at Asmat & Co. possesses extensive experience in providing accounting, tax, finance transformation and business advisory services to a diverse customer base.